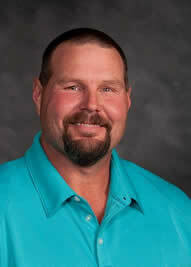 Rodney Lantz is the Field Operations Manager of Horst Excavating, where he oversees the company’s Field Superintendents. With over 25 years of experience in the commercial construction industry, Rodney has experience providing a trained work force that will enable Horst Excavating to deliver completed projects to our clients that meet or exceed their expectations. Rod works closely with our Project Managers to coordinate and distribute the excavation group resources to maximize productivity and meet schedule requirements for multiple projects.